Halloween is behind us, so 'tis the season...for Hallmark Channel Christmas movies! As has become tradition -- and a ratings juggernaut -- Hallmark is now showing Christmas movies 'round the clock for the next several weeks. 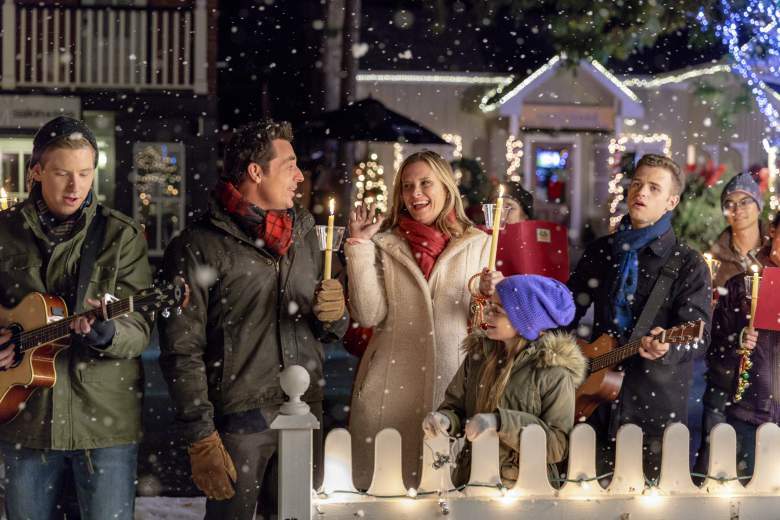 A Hallmark Christmas film I've just discovered and thoroughly enjoyed is LOVE YOU LIKE CHRISTMAS (2016), starring Bonnie Somerville and Brennan Elliott. Somerville plays Maddie, a New York City marketing executive who hates to fly, so when an important client invites her to her wedding in Colorado, Maddie decides to drive. As fate would have it, her car breaks down in Ohio, near a little town called Christmas Valley. The car repairs will take time so Maddie finds a room at a boarding house run by Pam (Precious Chong). and in no time at all she finds herself part of the local community, which includes diner owner Holly (Sadie LeBlanc) and her cook (Andre Richards); fellow boardinghouse resident Bob (Richard Waugh), a salesman; Cory (Graham Scott Fleming), a mechanic with musical gifts; and Roy (Derek Scott), a regular at the diner who always chimes in with a pithy comment. Most of all, Maddie gets to know widowed Kevin Tyler (Elliott), who runs a struggling Christmas tree farm, and his daughter Jo (Madison Brydges). Maddie and Kevin "meet cute" when traffic is blocked by a spilled load of Christmas trees; sparks fly, and the pair are happy to meet again when Maddie is stranded in Christmas Valley. Having lost her own mother, Maddie quickly bonds with young Jo and joins her in holiday activities. Due to a devastating flood the prior year, the tree farm is about to go under, but Maddie is a marketing whiz. Will Maddie and Kevin save the tree farm and fall in love? What do you think? It's a Hallmark Christmas movie, after all! The joy is in the journey, and it's a particularly good one here. The sense of community is delightful, with fun little details showing how Maddie quickly becomes part of the local scene. Soon the cook knows her order when she walks in the door of the diner, the dog at the boarding house is sleeping on her bed, the salesman pitches in knowledgeably with her project to save the tree farm, and she finds herself baking and decorating with Jo. Who would ever want to leave? The banter back and forth among the characters at the diner is really enjoyable, as is Kevin and Maddie's straightforward courtship. They don't hide that they like each other, and the only question is whether Maddie is going to be able to leave behind the career she's built in New York. Add to this some beautiful scenery, with Ontario, Canada, standing in for Ohio, filmed by Fraser Brown, and some lovely music, and you've got yourself a perfect Christmas movie. 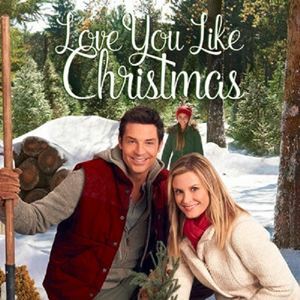 LOVE YOU LIKE CHRISTMAS was directed by Graeme Campbell from a script by Karen Berger, who's written several other Hallmark scripts, including the popular ALL OF MY HEART movie series. LOVE YOU LIKE CHRISTMAS plays regularly on the Hallmark Channel at this time of year. It's also available on DVD. I usually choose one during the season to watch. Maybe this year it will be this one.